Portrack Meadows Wildlife Park Entrance Feature. Stockton-on-Tees. 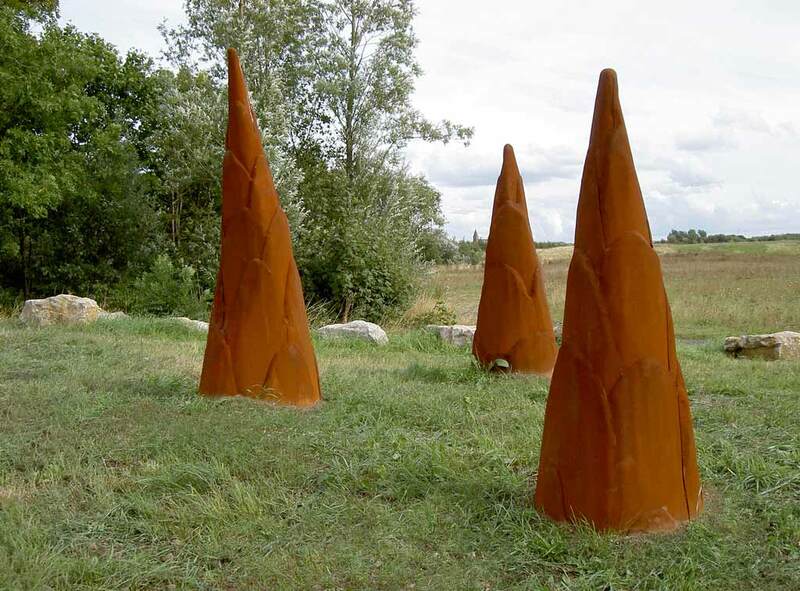 Core Ten Steel, Seven pieces up to 2.7m high, 2005. Client: Tees Valley Wildlife Trust. 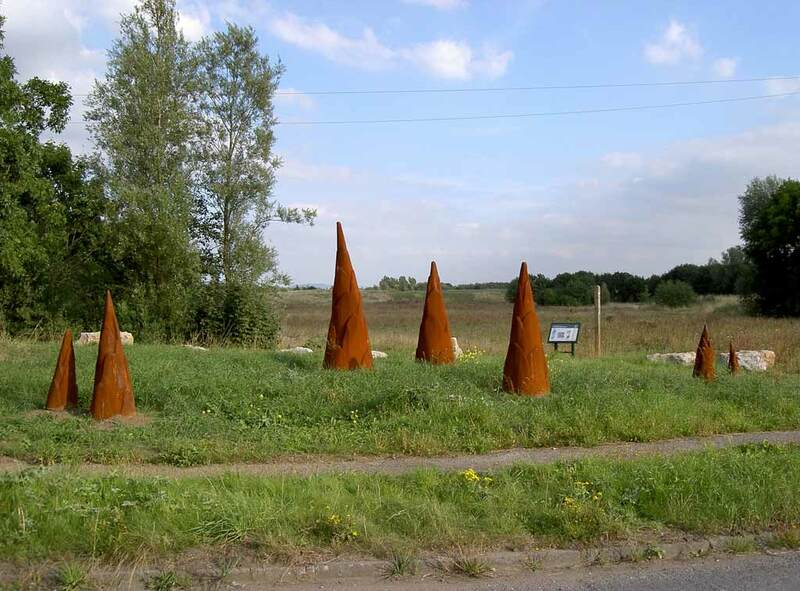 The seven rusted steel sculptures comprising ‘Germination’ appear to be growing out of the ground at the entrance to Portrack Meadows Wildlife Park. 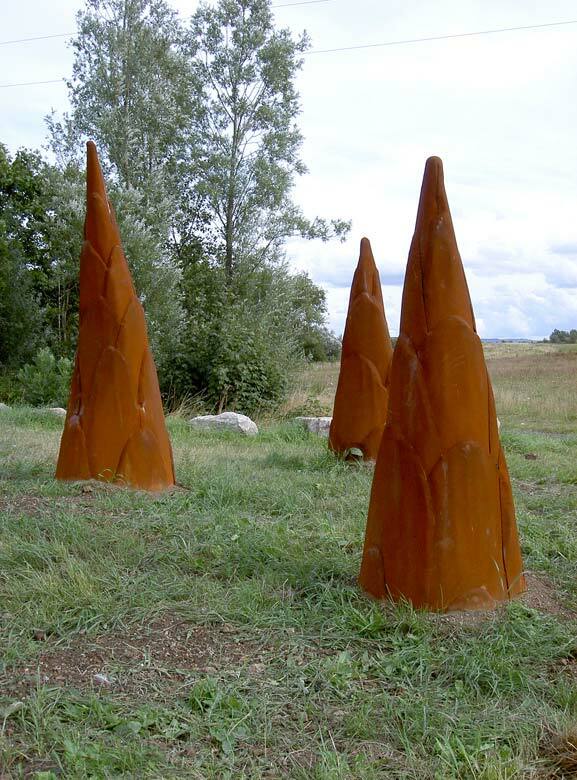 With a modest budget these fabricated Core ten steel sculpture of plant shoots rise up like the nearby cooling towers from the earth below. 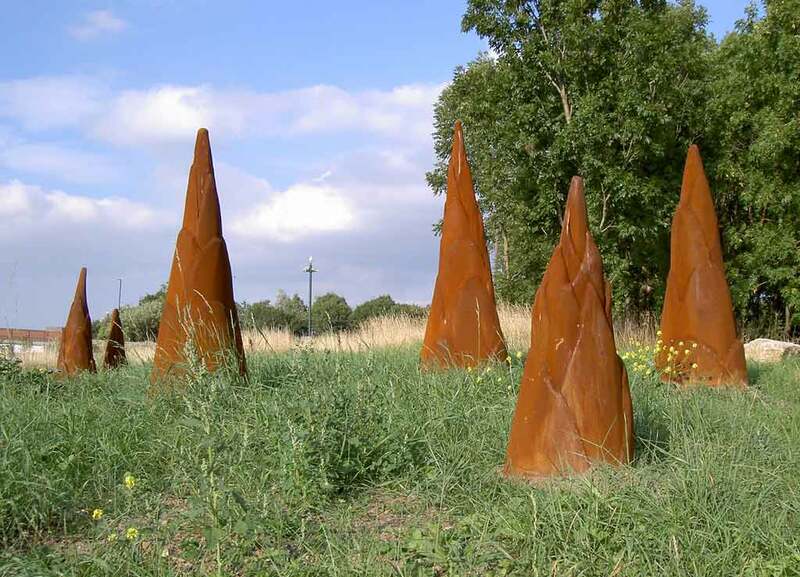 The sculptures aim to signify the importance of preserving and promoting wildlife alongside and within areas dominated by industry. 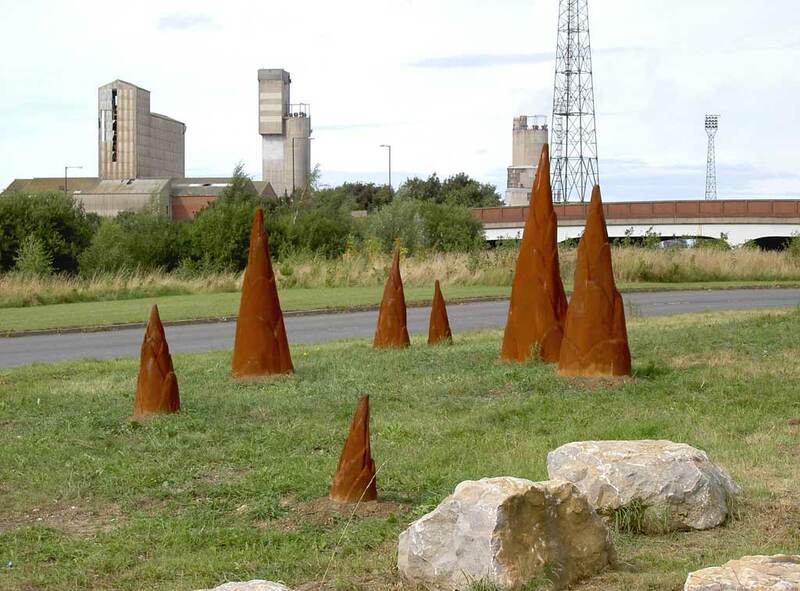 Andrew worked with Primary School children from Stockton to develop the ideas for the sculpture in partnership with Tees Valley Wildlife Trust.